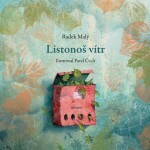 Poet, specialist in Czech Studies, translator, pioneer in live poetry and poetry for children. 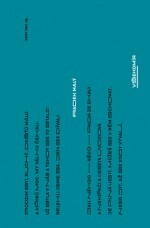 He has been awarded several literary prizes including two Magnesia Literas. He was born in Olomouc on 24 July 1977. Photophobes is woven from three threads: threads of light and dark, threads of words and silence and finally a web of gentle lyricism and rough epics. To the (fading) light, which is a central line in the collection with all its symbolic connotations, there is added a scale ranging from speech to silence and from belief to disbelief. 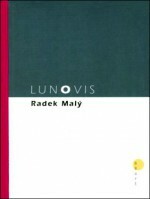 Another collection and another prize – in 2005 Radek Malý won the Magnesia Litera for poetry for Větrní (Wind, Petrov). 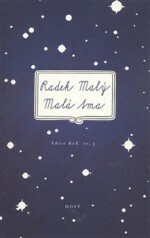 Its subtitle is Zcestné verše (Well-Travelled Verse) and contains, for example: “I am scared like a dog and fireworks / under the table curled up in the dark / I am scared I am scared of being scared / A year like a splinter in the hand – what good is it all?” However, Malý is suddenly capable of being playful and somewhat more cheerful, the dark and melancholic autumn twilights are sometimes replaced by quite humorous scenes: “The Chinese are doing Tai-chi on the lawn / and the day is a letter, the Sun seals / and goes and looks like a tomato / or – who knows – perhaps tomatoes.” The subtitle of Well-Travelled Verse, then (as a linguistic error which starts off the game with the reader even before the book is opened), refers to texts which emerged while travelling, wandering, away from home, indeed the first part of the collection is called Jakýpak doma (What Kind of Home). 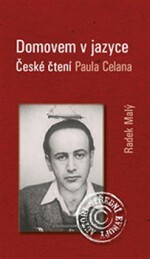 According to the author, Větrní was therapy following Vraní zpěvy, which is what the critics also say: “Větrní is a far more conciliatory and simple collection of explicit tension,” wrote Radim Kopáč. 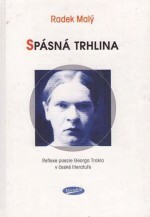 Here too the author notes the time and place when the poem was written, which shows in detail Větrní’s range of travel between Prague, Třebíč, Boskovice, Italy, France, Austria and Romania. 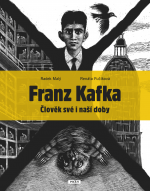 Malý’s works for children are also very important. 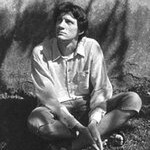 These began with Slabikář (Primer) in 2004, followed by the co-written poems in Šmalcova abeceda (Šmalec’s Alphabet Baobab, 2005) and František z kaštanu, Anežka ze slunečnic (Francis of the Chestnut, Agnes of the Sunflower) – a book about autumn with illustrations by Galina Miklínová, which was published in 2006 by Meander and was nominated for the Josef Škvorecký Award and the IBBY Golden Ribbon. 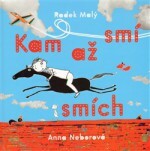 Three years later Meander also published Malý’s collection Kam až smí smích (Where Laughter Can Go) and Poetický slovníček dětem v příkladech (Poetic Vocabulary for Children in Examples, 2012), which teaches children the theory of poetry. 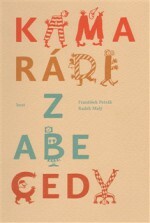 Kamarádi z abecedy (Friends from the Alphabet, Host, 2013) is written in a similar vein. 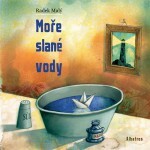 The collections Listonoš vítr (The Postman Wind, Albatros, 2011) and Moře slané vody (The Saltwater Sea) were illustrated by Pavel Čech, which complemented the poetic and playfulness of Malý’s verse. 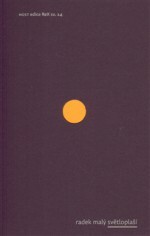 Příhody matky přírody (Tales from Mother Nature, Meander, 2014) are prose texts – seven answers to questions about nature.